Done during MFF. Traditional. Watercolors. Megaplex new sticker!! For this year theme "The Greatest Escape"
This cute guy is Razzy. Chipper Bluwolf, enjoying his afternoon with his favorite music. What do you think he's listening? Done during the "Doodle for Charity" event at ANW. Drawn by Paco, the real panda (fursuit), not by me. Inspired on the cenotes from Yucatan. Commission for Furry Connection Sylvester. An event in Germany. This life contemplative green wuff is Fylwind Ruzkelt. This was completely out of my comfort zone but very interesting to do. Am I a good pillow? Azul Yoshi may tell you. TK: May I sleep with you? Paco: mmm..kay! sure you don't have fleas? Both of them lovely, I don't mind if they have fleas. Part of the Patreon rewards. Thank you! Does anyone remember this movie?? He's Hammy, the squirrel, and this is too much caffeine for him!! Do you know what is going to happen next?? Request from Argolan, as Patreon reward. Some random doodles while I was at a staff meeting. Yeah, I was really paying attention!! I always did this of doodling while someone is speaking, especially when I was in school. I couldn't concentrate very well if I was not doodling. Adam Prower playing a RickenBacker bass. 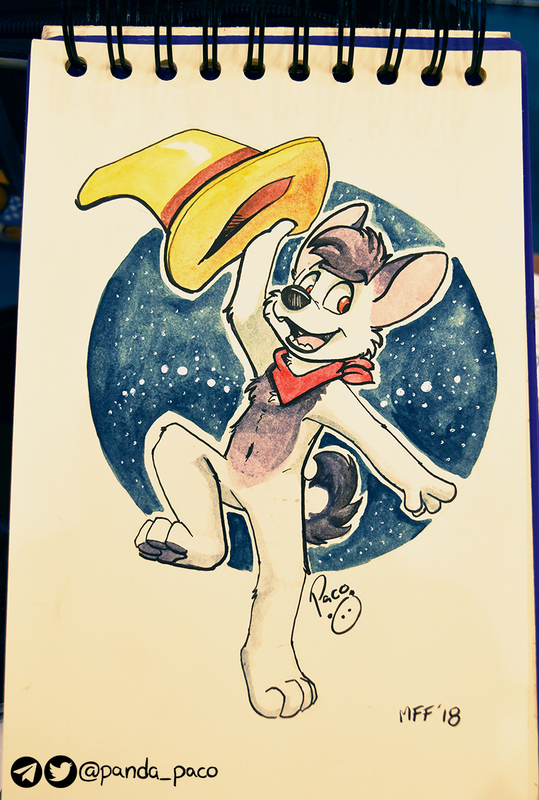 Commission taken at MFF, for Augie Doodle.